Cruise ships dock in the center of town. Larger ships anchor and use local double decker tenders to get ashore to Icoaracy Village. Free shuttles are offered the Village of Icoaracy to the marketplace in the city of Belem, a 35-minute nice ride. On arrival, helpful locals will hand out maps and will answer any questions. Many of the city's highlights can be taken in with a walk along the rivers edge, starting with the docks and continuing to the old fort. Numerous old churches along the way are worth a look and the bustling market life is not to be missed. 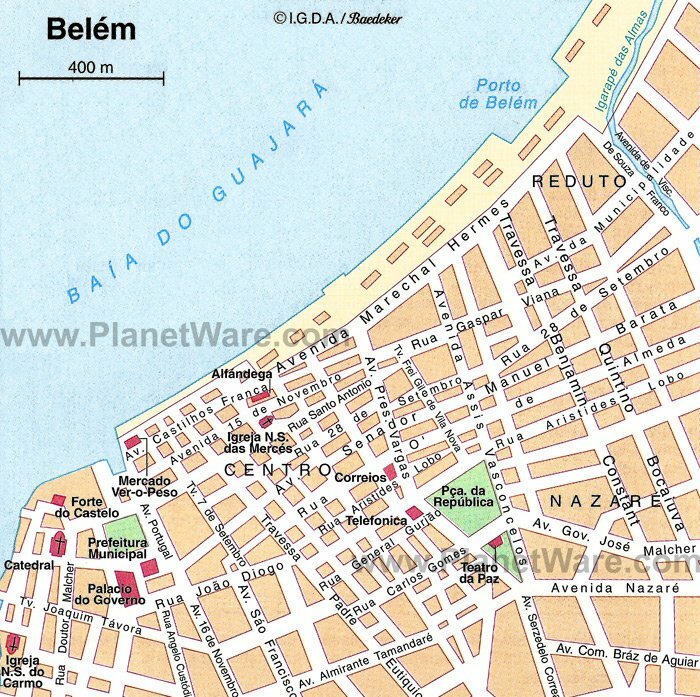 Belem is a hot and rainy city with very high humidity. The equatorial climate means a little variance from day to day, but the wettest months are between January and May. As you walk around central Belem, you quickly get a feel for the city's layout and the location of the main tourist attractions, which include a series of colonial buildings. The Teatro da Paz (Peace Theatre) is one such attraction, as is the rather distinctive waterfront Mercado Ver-o-Peso. An impressive and highly successful renovation project in Belem, the Estacao das Docas (Station of the Docks) complex saw a total of three early 20th-century riverfront warehouses transformed into a modern commercial space, complete with a small theater, shops, and restaurants offering al fresco dining with a view. Every year on the morning of the second Sunday of October, Belém explodes with the sounds of hymns, bells, and fireworks. Started in 1793, the Círio de Nazaré is Brazil’s biggest religious festival. People from all over the country flock to Belém, and even camp in the streets, to participate in the grand event.